There are a lot of reasons a Pittsburgher like me might envy Chicago. The flat landscape makes biking the entire city a cinch. They’ve got a public transportation system that, in my limited opinion, rivals that of any other city. There are beaches. There is a vibrant music scene punctuated by visits from notable bands from all over the world. There are more veg-friendly establishments in one or two neighborhoods than in the entirety of Pittsburgh (although this is rapidly becoming less true). But the real point of jealousy, for me, is the Mexican food. The glorious, glorious array of offerings all over the city, from the high-end cuisine of Rick Bayless to the lowest of the lowly late-night burrito joints. In this regard, it’s not just the level of quality, but the sheer quantity available. Every neighborhood, every business area, seemingly every street, many open 24 hours, seven days a week. That’s an absurd amount of riches for one city and I, for one, am sick of Pittsburgh getting the short shrift on Mexican dining. I guess I’m not alone, because in the last year or so, half a dozen openings have given local fans of Mexican, Latin American, and similarly minded cuisine a reason to stop envying our Midwest cousin city and start sampling the scattered options around town. If this gives locals a good reason to visit Brookline Boulevard or the area of Homestead that is not the Waterfront, then so be it. 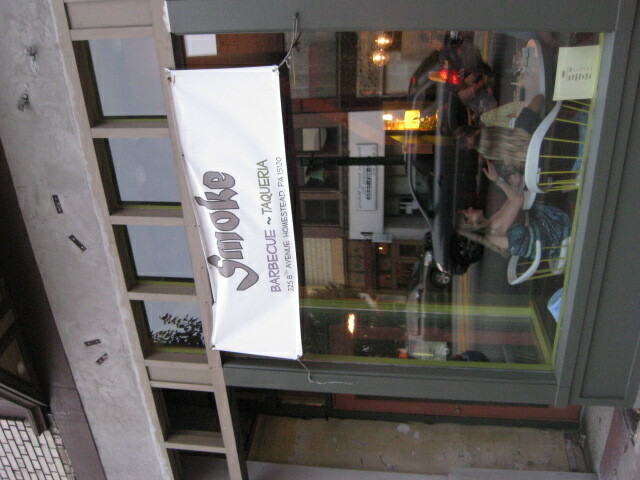 While the taco stand at Las Palmas in Brookline still holds my affection as “Best Sign That Pittsburgh is Finally Getting Some Decent Mexican Food” as well as “Best Damn Lunch You Can Get for $5,” a recent contender has approached and made a powerful first strike in the war for my love: Smoke Barbecue Taqueria. A blend of traditional Mexican food and American barbecue, this little restaurant gives people like me a lot to get excited about. Located just around the corner from the Waterfront on Eighth Avenue, Smoke is about as tiny as you can get without being a strictly takeout joint. The name of the game is house-made, from the tortillas to the beverages. The menu is an efficient affair of a few breakfast items, the small but mighty list of tacos, and some classic side options to complement the main course. The food can be ordered to-go or eaten inside the small and funky dining area that is comprised of three sets of mismatched tables and chairs and a little counter seating area. I wouldn’t suggest going to Smoke on an empty stomach. When me and my dining companions made our first visit, we were surprised by a sign on the door that read “Ran out. Temporarily closed until 7:00 pm.” Luckily for us, it was about quarter till. We were invited in and waited at one of the tables until they were ready to start serving again. And by “they” I mean the skeleton staff of two, maybe three people preparing and serving the food and handling transactions. Because of this, the service was slow, but amicable. 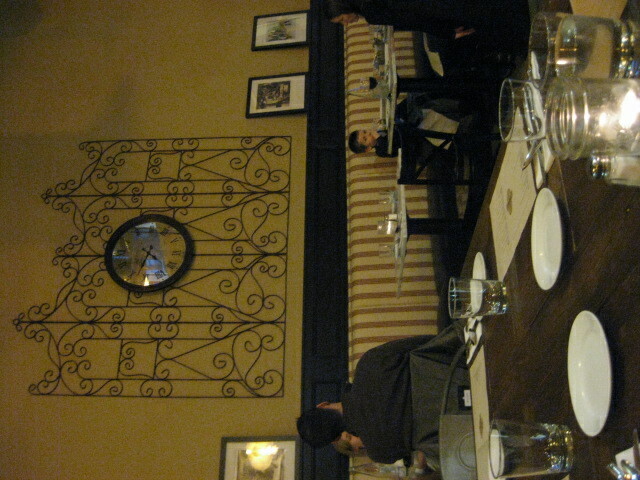 As the restaurant started to fill up with patrons, we couldn’t really blame the staff for the long wait for our food. They were beyond busy. Posted in Dining Out, Dinnertime!, Food, Lunchtime! Talk about a smart business plan. 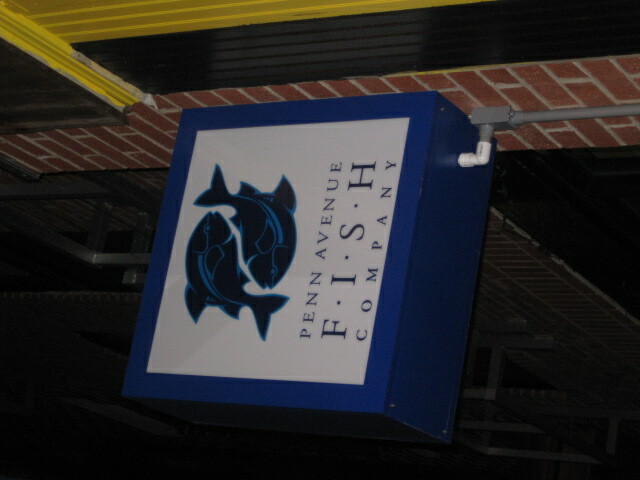 Penn Avenue Fish Company in the Strip does a brisk business serving delicious undersea lunchtime specialties and sushi to crowds of customers from the immediate surrounding businesses as well as Downtown employees and folks working up Penn and Liberty Avenues into Lawrenceville and Bloomfield. So when the restaurant expanded their territory, they made the right decision to put their new location in the middle of Downtown, securing the hearts and appetites of many of their already loyal Downtown-based customers, as well as ensuring a whole horde of new followers. Favorites of the Strip location, such as the sushi and the fish tacos, made the trip into Downtown as well. In addition, they added a dinner menu for Wednesday through Saturday service. The inventive and tantalizing lunch options easily transformed into upscale (but not uppity) dinnertime offerings. 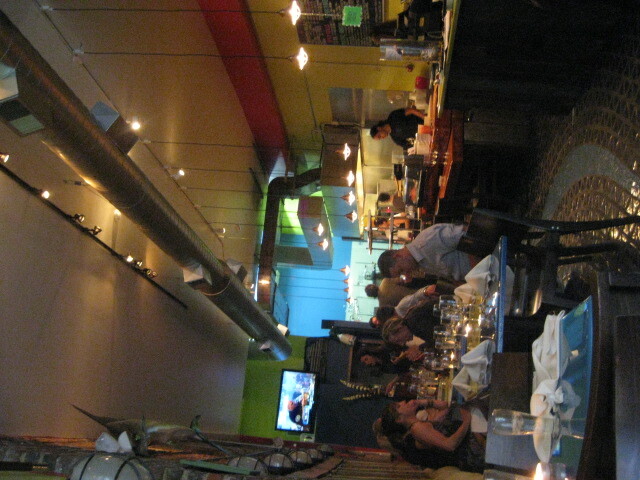 The interior of Penn Avenue Fish Company Downtown feels like a combination sushi bar and cafe. It’s long and narrow, but the design keeps it from feeling cramped, with brightly colored walls and flooring. Warm overhead lights supplement the natural light coming in from the entrance, and a few well-chosen items of aquatic-themed wall decor give the place an appropriate dose of seafood restaurant without falling into the realm of the cheesy. Though I have dabbled in numerous forms of writing, I have really fallen in love with blogging. Some of this is the nature of the form – I’m an instant gratification junkie, so the quick efficiency of writing and posting blog entries holds great appeal – but what has really gotten me falling head over heels is the blogging community. Among a terrain not exactly known for its restrained, distinguished discourse, specific blogging communities remain calm, welcoming places of exchange ideas and opinions, experiences and photographs. I have been accused of being a bit of a social curmudgeon because I’m not on sites like Facebook or Twitter. While I admit to some moderate prejudice against social networking sites, the real reason I’m not on any of them at the moment is that my time online is already maxed out. On a daily basis I’ve got a few dozen links to check on, and were I to sacrifice some of the time I dedicate to those sites for say, “poking” friends-of-friends or harvesting wheat in my virtual farm, I would be losing a significant percentage of time that I use to keep up my preferred social networking: Reading other people’s blogs. Until recently, reading and commenting on other blogs was about as far as I had gotten into actual socialization with food bloggers. I learned how much of a shame this truly was when I finally made it to a Food Bloggers Meetup, this time at Paris 66 in East Liberty. When you write about food, you want to talk about food. You want to talk about it a lot. And while I am lucky to have friends that are more than willing to humor my seemingly endless interest in the topic, there’s something very reassuring about being among members of the same tribe. When the food is served and my camera was only one of many pulled out, I got a warm and fuzzy feeling in my stomach – and not just because I had drunk half of my very potent French martini. 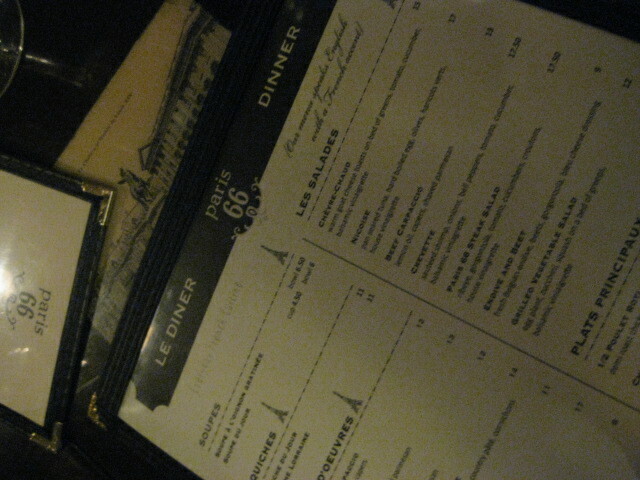 In addition to meeting these bloggers in person for the first time, I was also making my first visit to Paris 66. I’m a bit of a sucker for romantic little enclaves of atmosphere and expensive dining, and Paris 66 has all the best traps: Softly lit, furnished in polished wood and tables complete with laminated-antique postcard covers, back patio seating, and, of course, a small, concise menu of French specialties, including crepes, steak frites, duck, and some very foreign- and tempting- sounding hors d’œuvres. 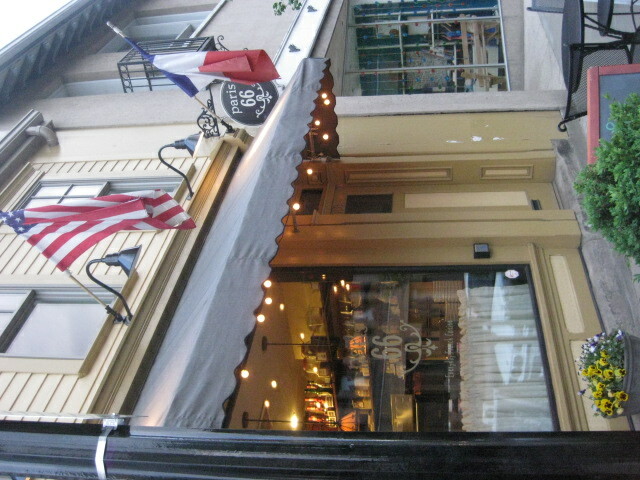 Billed as “everyday French cuisine” the menu still finds plenty of room for the mildly exotic. This Week on the Dormont-Brookline Patch: Eat Your Way Through the Neighborhood! My feature on the Dormont-Brookline Patch this week is on Sylvia McCoy’s Burgh Bits and Bites Food Tours, specifically the fairly new Brookline tour, as well as the Dormont tour that is currently being planned for a summer debut. I sat down on Monday with Sylvia and Cory VanHorn, her intern designing the tour – as well as the genius behind the fabulous Culinary Cory blog – and it was an invigorating experience. Why? Well, as a food blogger, it can sometimes feel like you’re making a whole lot of fuss out of something fairly mundane. It’s easy to feel at home when you’re immersed in the world of food writing (both print and online), but it’s tougher when you find yourself going on and on about the history of pierogi in Western PA and you suddenly realize that your dining companions are bored stiff. Even worse than boring, it’s very easy to feel bad about the amount of time you talk about food. Talking and writing about food can come off as trivial to those who concern themselves with matters of seemingly much greater importance. To be honest, when comparing and contrasting the topics, it’s a fair enough assessment. Who cares which Pittsburgh neighborhood has the most pizza places when the city is enduring socioeconomic troubles that threaten every aspect of living in the region? Sitting down with folks who are invested in food history and knowledge the way that you are can be such a relief. Having Sylvia really sell me on the meles at Colangelo’s in the Strip District, or finding out that Cory shares my high opinion of Square Cafe, or even just knowing that if I recommended a place that they should try sometime, they would actively consider the recommendation… knowing that we shared this very fundamental common interest made for a really easy-going, engaging conversation. This may have been one of the easiest stories I have written for the Patch. I highly recommend checking out the Burgh Bits and Bites. Sylvia is an extremely intelligent, warm person who I bet leads a hell of tour, and if Cory is any indication of the quality of her tour guides, the rest of the people involved with the tours must be just as friendly and knowledgeable as she is. As Cory said in our interview, “It’s a great way to be a tourist in your own city.” I, for one, can’t wait to try one. Forgive me for lack of eloquence, but this development is FREAKING AWESOME. As public libraries suffer severe budget cuts that lead to shorter operating hours, staff reductions, and locations closing entirely, the Carnegie Library is continually figuring out how not to just sustain itself on its modified resources, but thrive. That’s librarians for you: You cut their budget by half and they’ll figure out how to accomplish everything with 50% the expected funds. I’m not advocating the challenge – it damn near criminal how public libraries are under appreciated – but they are up to it. 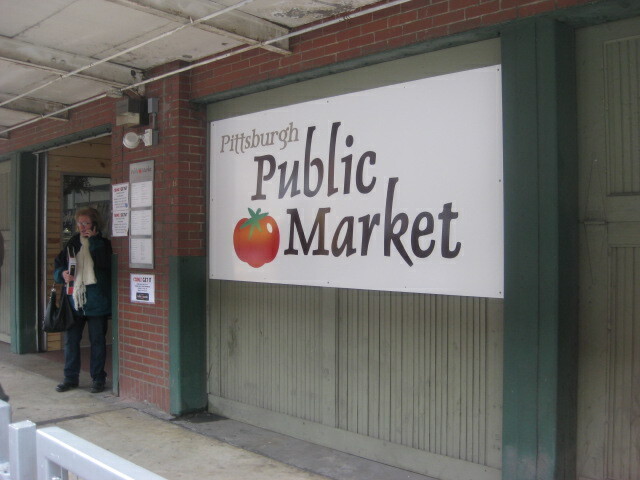 Joining up with the Public Market is an incredible way to bring more resources to an area that is steadfastly maturing into a desirable, livable place to take residence, but it is also an amazing way to bring books, media, and information to the thousands of working folks that come in and out of the Strip District every day. It’ll provide weekend resources to those who lose their access to a public library when the Downtown and Lawrenceville branches close on the weekend. The press release – quoted above – goes on to mention that this is an innovation in the public market category. Despite the large wave of public markets opening up in cities and towns across the nation, no one has thought to include a space for public library access. It makes perfect sense to me: Eating, shopping, living, learning. Librarians will share 30 great titles in just 30 minutes. goal is to expose people to samba as well as invigorate the community with music and performance. Storytellers will intrigue and inspire audiences with their stories for young and old. Staff will demonstrate how to use the Library’s downloadable services with eReaders and MP3 players. Following the local food scene can skew your perspective. Read enough about a new restaurant, hear enough buzz, see enough tantalizing photographs, and suddenly, what was a normal quality eatery starts to carry the immense weight of importance. The hype raises expectations as it draws in more customers, but it can also make the first experience with a restaurant oddly dissonant, like there is a difference between trying out this hotly buzzed restaurant and the actual experience of eating and socializing in said restaurant’s environment. I find myself most wary of this disconnect when it comes to Italian restaurants. It doesn’t help that I have in-built dismissal of them. Maybe it’s leftover hard feelings from places like Olive Garden or even the “beloved” Bloomfield fixture that is Del’s on Liberty Avenue, but I always feel like I’m getting ripped off. Noodles, sauce, maybe meat, maybe some veggies. Add a crappy glass of wine and some bread. Great, now pay $30. Congratulations. You spent three times the amount of money you would have if you had made the same dish – and you could have, believe me – at home. No matter how much a place is hyped to me, if it’s an Italian restaurant, I’m unlikely to follow-up on the praise. And if I do, it’s hardly ever an experience that turns me around on Italian dining. It sounds harsh – and please, devoted consumers of Italian food, do not misunderstand me, as I do not mean to disparage the cuisine itself – but I’d rather be in the kitchen with pasta than in a restaurant or cafe. At least I know exactly where my money is going and the quality it has been spent on. 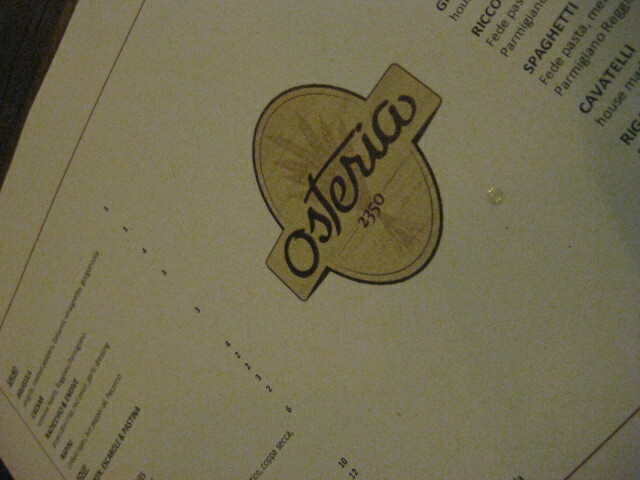 Still, my prejudice against Italian restaurants and my normal underlying hesitancy of hype did not dissuade me from visiting Osteria 2350, a fairly new restaurant in the style of a casual tavern, less upscale than the norm of the cuisine, and thereby somehow less intimidating and more promising. A quick scan of the menu online affirmed how casual the dining experience was sure to be – not a dish over $12, with most of the small plates $3 or $4 – not to mention inexpensive. This combined with the highly favorable buzz practically made up our minds for us. Expecting a Friday night crowd, we were pleasantly surprised at how low-key the surroundings were. Behind the Right By Nature market, across the street from the Cork Factory apartments, Osteria is remarkably inconspicuous, offering an attractive environmental mix of tavern and cafeteria. The lighting is soft and golden, the tables are mix of small two-seaters and large wooden fixtures with long benches to match. There’s a counter/bar area and a little television in the corner for sporting events. We were seated in front of the dessert display case and the large chalkboard advertising what was available. A little kid played amongst our coats hanging on a coat rack. It was all very calm, very pleasant, even sedate. Perhaps you weren’t expecting a letter so soon. Manners and mores would tell us that a proper 24 hours could pass before I were to follow-up on our first visit. But, as I lie awake in bed, tossing and turning, a stomach full of cream and greasy protein, I am struck by an overpowering need to get in contact with you. Call me rash, call me stupid, call me a fool… but please, please understand. You have bewitched me. It was all a joke, at first. I saw you there, on the special bacon-theme menu, sandwiched in between bacon dishes of fairly ordinary variety: A pancake and bacon plate. An overloaded BLT. Strips of bacon over top other strips of bacon, other food items just peeking out of the corners here and there. There you were, dead center of the trifold menu. So out of place even among your bacon brethren. A sundae. A sundae with maple syrup. A sundae with maple syrup and fried bacon. Wait… what? Seriously? But…. but how? But why? Denny’s is putting bacon on pancakes, bacon on eggs, bacon in sandwiches, bacon in burritos, bacon on fries, bacon on bacon. But this… this was over the line. Or… was it? Was it really? Why should one limit themselves to pairing bacon with other purely savory meal items? Bacon and eggs are perfectly natural together, but why not another bacon-dairy combo? Couldn’t the salty, smokey quality of the bacon offset the smooth mildness of the ice cream, the sticky sweetness of the syrup? Could it be that this is the perfect combination of salty and sweet that people have been looking for? All that time wasted on chocolate-covered pretzels, each more elaborate than the last. Was this the true missing salty-sweet link? 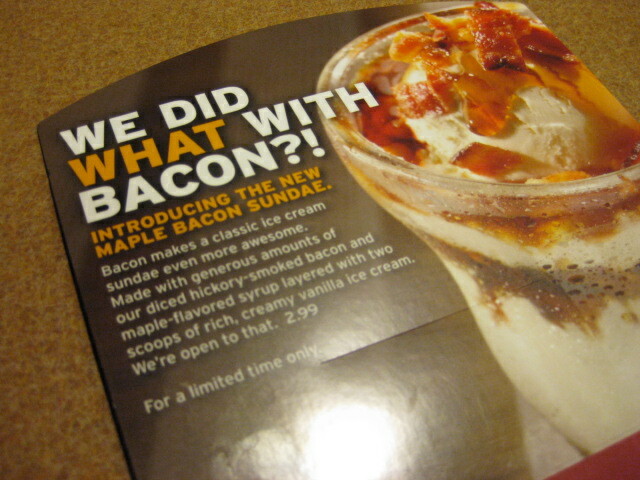 Oh, bacon sundae, how I could not resist your potential charms. The waitress warned me off you. But, nay, I could not relent. I wanted, no, NEEDED to be with you. I needed to experience you through my senses, see you with my eyes, taste you with my tastebuds, smell your smokey baconness through my nostrils. I needed to know you. The wait for you was agonizing, but then, there you were, standing before me, a goblet of off-white glory. Sprinkled on top were shiny crimson pieces of bacon. The syrup stayed incognito, all but obscured by the ostentatious show piece of this endeavor. I dipped a spoon into you. I tasted. I hesitated, then tasted again. What glory! What tribute! What unexpected euphoria! Who knew it was possible to get a bigger rush if you simply added a ton of protein to your sugar content (and vice versa). Who knew that the bacon would compliment the cream, that the two would work so divinely swimming in the pool of syrup at the bottom of the mighty goblet? Who expected such a decadent pleasure to come from a Denny’s on Lebanon Church Road? I consumed you, as a lion would devour a gazelle, as a sparrow a worm, as a teamster a donut. When you were gone and all that remained was drippy, gooey remains at the bottom of the cup, I mourned your absence. Yet, you are not really absent, are you? You’re a part of me now. A part that has latched onto every internal surface it can stick its meaty claws into. I feel that I will live a day shorter because of you, perhaps several days shorter. The moment we were apart, I knew that to ever have laid eyes on you was to agree to an abbreviated life. But, oh sweet temptress, I did not CARE! I could not care! If I am but a mortal than let me feast like a mortal! Let me not throw away my opportunities in the name of safety or healthy eating or fitness! Let me live, let me breathe, let me consume. Let me risk a few years of stale life for a few minutes of confounding heaven on a spoon. 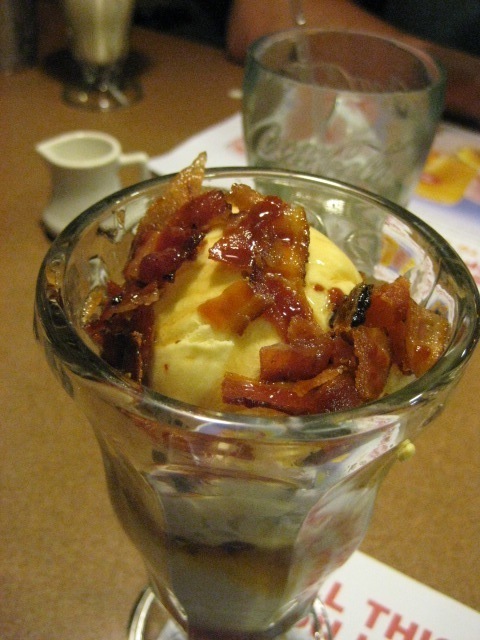 Denny’s Maple Bacon Sundae, I beg of you, do not leave our world. Once the bacon theme has exhausted its welcome, they are bound to pack you away with the rest of the bacon specials, pack you away and never mention you again. Back with the cheesecake, the carrot cake, the vanilla milkshake. But my love…. will be gone….